House prices remained steady last month, despite the Bank of England’s widely-expected interest rate rise. The average price of a home in the UK rose by 0.1 per cent between July and August to £229,958, or just £182, according to mortgage provider Halifax, but it said annual property inflation accelerated to 3.7 per cent. Britain’s biggest mortgage lender highlighted that the number of first-time buyers has now reached levels not far off their pre-2007 crisis. Halifax managing director Russell Galley said August displayed the usual mix of economic and housing market conditions, with buyers not being deterred by the base rate rise form 0.5 per cent to 0.75 per cent. ‘While the pace of employment growth has recently slowed, a low unemployment rate and a gradual pickup in wage growth are helping to support household finances,’ he said. The Halifax house price measure has generally been showing higher house price rises in recent months than other measures – Nationwide put annual house price inflation at a lower 2 per cent in August. Halifax’s report also found that wider mortgage availability and the taxpayer-backed Help to Buy loan scheme have helped more first-time buyers on to the housing ladder over the past decade. It said the number of first-time buyers has more than doubled since dropping to a record low of 72,700 in the first half of 2009. There were 175,500 first-time buyers in the first six months of 2018 – an increase of 3 per cent on the first half of 2017 and just 8 per cent lower than at the peak of the last boom in 2006, where there were 190,900 first-time buyers. Mike Scott, of fixed fee estate agent Yopa, said that the market had returned to growth after spring’s slowdown. Halifax said just over half (51 per cent) of all mortgages handed out were to first-time buyers – an increase from 38 per cent in 2008, with the share picking up especially in 2013 when the Help to Buy scheme was introduced. 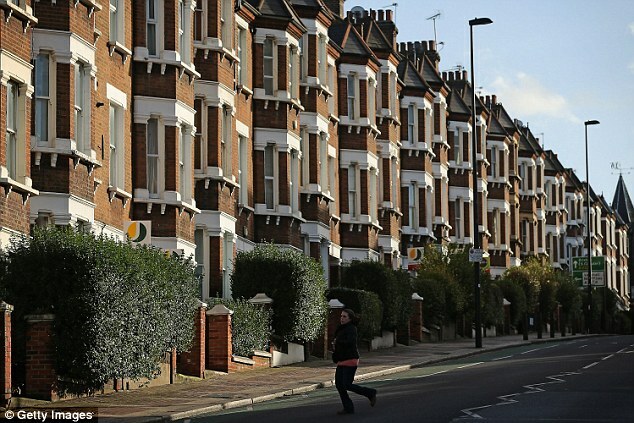 It comes after reports surfaced over last weekend that Help to Buy will be scrapped in 2021. Critics say the scheme is failing to help people who need it most while pushing up house prices and boosting profits and pay at Britain’s builders. Recent official figures showed thousands of higher-earning families were taking advantage of Help to Buy, even though it is aimed at struggling first-time buyers. Ewen Bunting at estate agents James Pendleton said low supply of homes and Help to Buy were pushing prices higher. He said: ‘It doesn’t matter that affordability for most is pushing the limits of common sense, when borrowing is dirt cheap, people still need to move and are still climbing over each other to do so in some instances. Howard Archer at the EY ITEM Club noted that the Halifax house price measure has seen sharper monthly movements than other indexes, such as Nationwide’s, and cautioned over attaching too much importance to one particular survey. He said he does not expect ‘any meaningful market upturn’ in the coming months, forecasting house price growth to remain limited to around 2.5 per cent both this year and next. He said: ‘The recent sharp monthly movements in the Halifax measure – and the contrast between Halifax and Nationwide data – highlights the fact that house price measures can be volatile and differ from month to month between reporting agencies. Brian Murphy at the Mortgage Advice Bureau said the topline figure masked the ongoing picture of regional fragmentation.